Greetings Northeast Lincoln! The Legislature has just finished a week of priority bill designations. Each senator has the opportunity to choose one bill, each committee two bills, and the Speaker up to 25 bills to prioritize in a single session. This year, my priority bill is LB947, which declares all work-authorized persons eligible to obtain a professional or commercial operating license. Those affected by LB947 are the same population granted eligibility to obtain a drivers license through LB623, a bill passed last session. 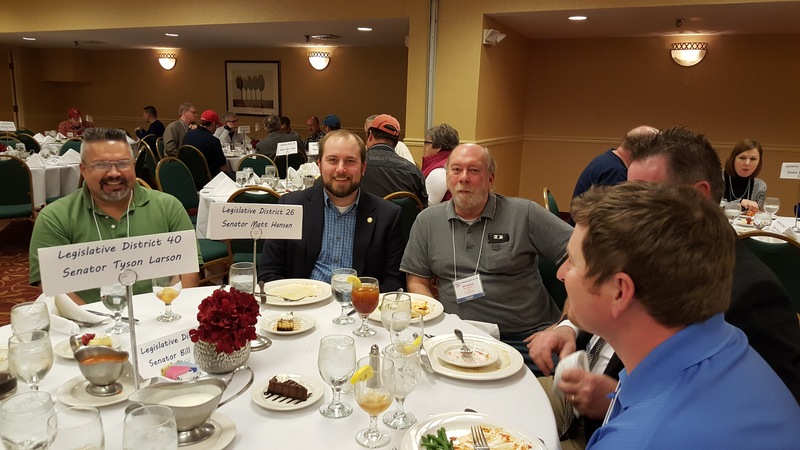 Senator Hansen and Union members at the AFL-CIO Luncheon on the February snow day. Last month, I wrote about LB808, relating to the Local Option Municipal Economic Development Act, and LB831, relating to automatic license plate readers. Both bills have advanced from the Urban Affairs committee and Judiciary committee, respectively, and have been placed on General File. 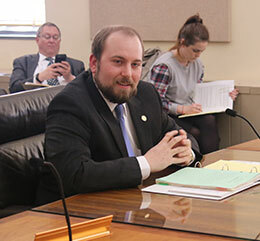 LR403 would create an Election Technology Committee as a special committee of the Legislature to address Nebraska’s aging election technology and equipment. The special committee would study the longevity of technology used by election commissioners and county clerks to conduct elections, and the feasibility of updating or replacing this technology. LB1089 would incrementally increase the minimum wage for persons compensated by way of gratuity from the current $2.13 per hour to $4.50 per hour by January, 2017, or 50 percent of the standard minimum wage. While the state minimum wage was increased last year through a ballot initiative, the tipped minimum wage has not changed since 1991. 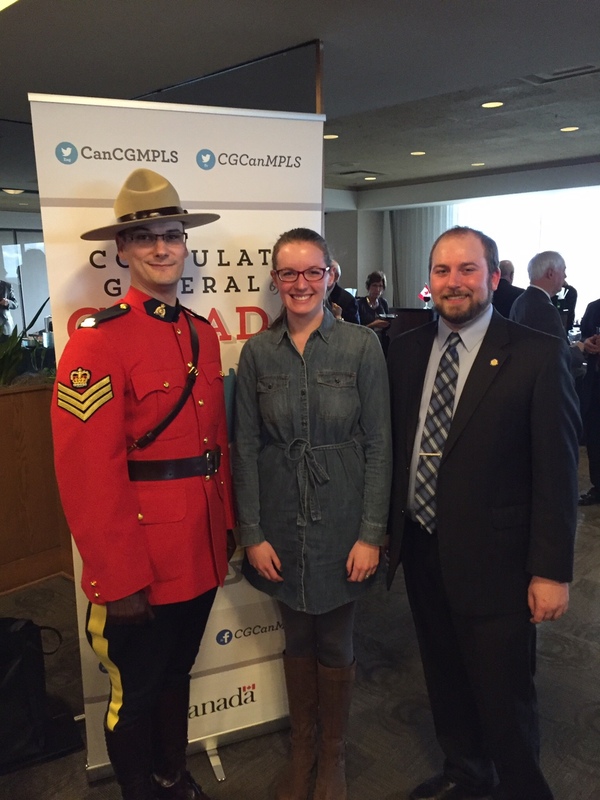 In 1991, it was uncoupled from the standard minimum wage which was set at $4.25. 31 states have a higher tipped minimum wage than Nebraska. Increasing Nebraska’s tipped minimum wage would set us in line with Iowa ($4.35 per hour), Colorado ($4.98 per hour), and other neighboring states. LB1090’s hearing is scheduled for March 3rd, before the Judiciary committee. 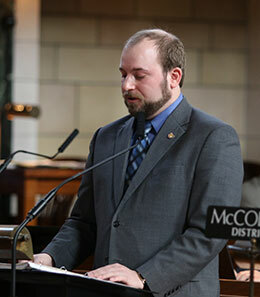 This bill would require notification of law enforcement by the Nebraska State Patrol of denials of certificates to purchase, lease, rent, or receive transfer of handgyns. 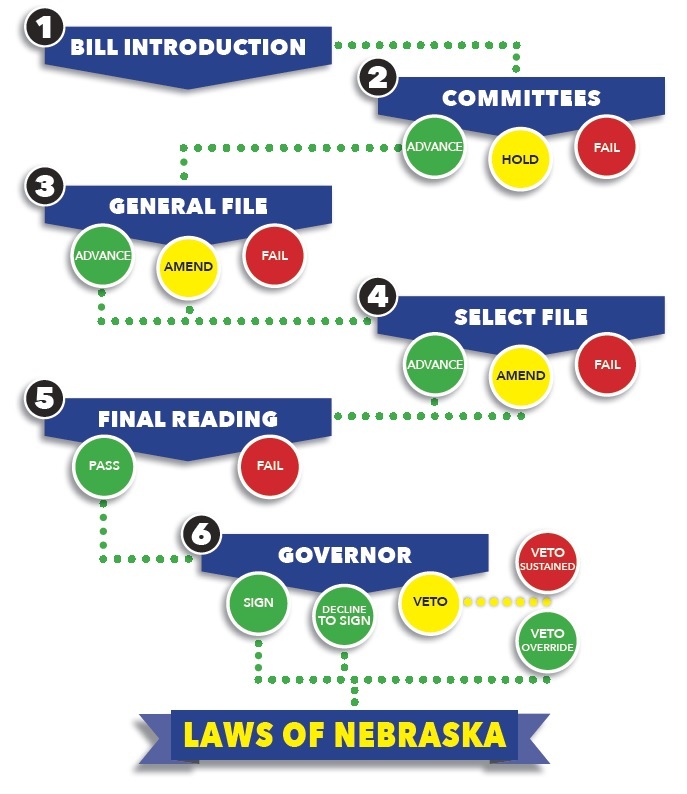 LB1090 would also require an annual written report to the Nebraska State Patrol from state or local law enforcement agencies that have received notifications. The report would include information on certificate denials, the status of any open investigations, and explanations of denials that did not lead to investigations. This bill is intended to provide law enforcement with the information they need to help prevent the next crime from happening, and to keep our families and communities safe. 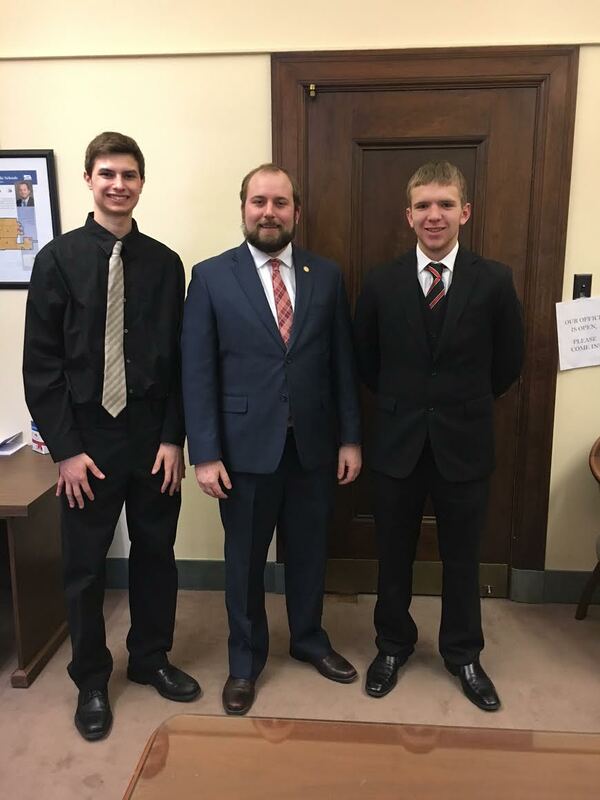 Two LPS high school students interested in a career in politics shadowed me for a day. They were able to sit in on the morning floor debate and an afternoon committee hearing. This month, I introduced LB945 before the Agriculture committee. LB945 is the Healthy Food Financing Initiative Act, aimed at alleviating the prevalence of food deserts. 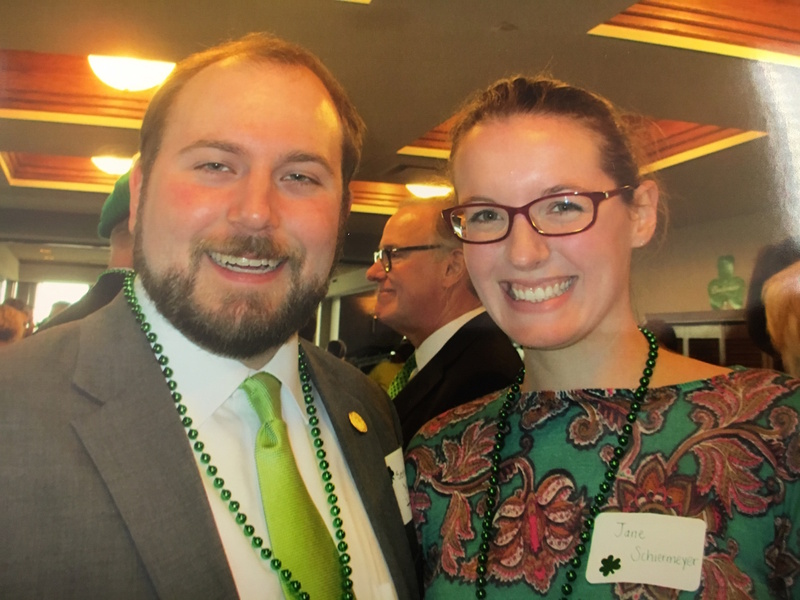 If we haven’t heard from you yet, we hope this newsletter will serve as a reminder to contact us with any questions, concerns, or support regarding state legislation.